Thanks for this great sharing. 28 mhs after overclocking memory is acceptable to me. But what surprises me is that 440 mhs for DCR. I saw your other post for GTx970 single card can have 1300MHS. But after all it’s always good to have more than nothing. This review has a very negative tone to it. What I see is a card that is close to the performance of a 390 but uses a lot less power. The hype train was real for these 480s, but they perform as well as I expected. Am I missing something here? why you hadn´t try to overclock the card AND undervolt it simultaneously? If I don´t undervolt my R9 Nanos, I don´t get much more than 1000 MHz GPU clock, cause the card runs into its TDP limit then. If I undervolt them simultaneous, I can go up to 1100+ Mhz smoothly and stable. I would suppose that this is also possible with a RX 480. Currently the AMD WattMan software and the ASUS GPU Tweak II software that support RX 480 already do not allow you to play with the GPU voltage and limit you to max 9000 MHz for the video memory, so it is not possible to undervolt to try to achieve lower power usage… tools like MSI Afterburner or Sapphire Trixx have not been updated to support the new cards. Thus so far users are limited in what they can tweak to get optimum performance / power ratio. The only way to reduce the power usage is by lowering the TDP limit via the Power Target slider. The review is not very negative, there are just some negatives that are present at the moment with the current reference design cards: limits in tweaking, not so adequate cooling, and some unpleasant surprises such as the 7 GHz video memory on the 4GB versions that should result in lower hashrate. After so much hype everyone expected a bit better numbers and capabilities at launch, but hopefully soon the problems will be dealt with. 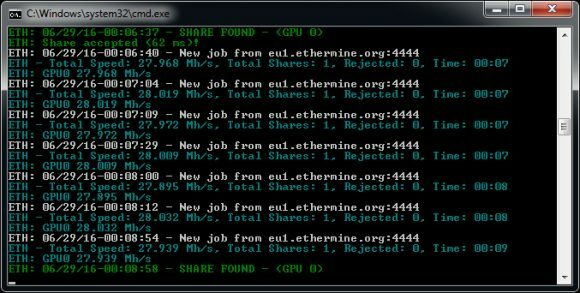 Ether mining aside the GPU overclocking is also a bit disappointing at the moment which can result in not so great performance for other algorithms, provided that you even make the RX 480 mine them. So yes, the RX 480 is far from great at this point. It’s safe to mine usin USB risers? 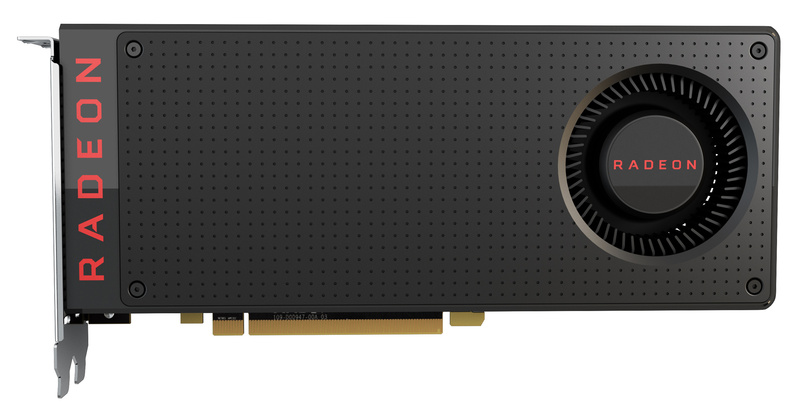 According to some reviwes the RX 480 takes well over 80-90 Watt out of the PCI-E Slot (MAX 75W) with 100% GPU-load. Don’t realy think it would be wise to use the card with risers in a mining rig. Even if a good Mainboard will handle this a riser just lacks the grounding an mass of full MB. Don’t want a miner that has more likeliy a chance to burn while I am not at home. I waited long for this chip to arrive and had the strong urge to replace my R9 290, with Black Screen Bug, with it. But now i’m waiting for the even cheaper RX 470. Using powered USB risers should not be a problem, in fact we have already tried that and it works just fine. It is preferred to use PCI-E USB risers with 4-pin Molex connectors and a power supply that has thicker cables to ensure that the PCI-E slot power draw that will go through the Molex power connector will not be an issue. Using PCI-E to USB risers with floppy or SATA power connectors may not be a wise idea for 75W+ power draw cards as these power connectors are rated for less. The easiest thing to see if you might potentially have a problem is to see if the power cables start t get hot, if they do, then the power draw may be too much for them. We’ve seen the concerns about the higher power usage above the recommended 75W limits, both for the PCI-E slot and the 6-pin PCI-E power. Our power usage tests can confirm that the total power drawn by the card can exceed the 150W TDP limit with default settings even when mining Ethereum. Normally good motherboards and power supplies should be able to handle the extra power over the recommendations, though that does not mean that you will be safe from possible issues. I have problems mining with RX 480 on Win7 with Crimson 16.6.2. (ethminer/genoil/claymore). Since it doesn’t seem possible to run 400 series with Crimson 15.12, I don’t know what to do. Obviously it works for you according to the test. It’s not submitting any shares and the hashrate is jumping up and down like crazy. Is the card working normally, have you monitored the operating parameters (frequencies, voltages, temperatures) while mining or tried running a benchmark to see if it might again behave not like it should? @admin Have you tried mining with any other algos, then eth. I know most people are all about eth, but if you want a card for a longer run, then it has to be at least decent if not good in all the other algos. I’m specifically interested in x11evo, x17 and neoscrypt performance. No, it’s not working normally. In Asus GPU Tweak it’s showing that the GPU usage is very low, only at 100 % some seconds. Core clock is stable at 1286 Mhz, the temp is 53 C.
In ethminer the hashrate is between 40 – 200 mh/s with the single card, and it’s only getting work, and submitting none. It’s been (not) mining for several hours. John, have you tried a fresh installation of the OS or driver cleaner and installing the video drivers again, could be something messed up with the software. bilminer, we have mentioned this in the article – there are some issues with running other algorithms at the moment on RX 480, we’ll update with more information when available. Yes, I have. Now actually Claymore 4.7 is working with expected hashrate. It is submitting as well. I guess “problem’s solved”, even if the other software doesn’t work.. Thanks for your time anyway, cheers! Which is better XFX rx480 or Sapphire rx480? If the cards are reference design probably won’t matter, otherwise the Sapphire Nitro should be the better choice. is it still worth trying to mine ethereum ? Or do you think its just peanuts? Looking to buy my first dedicated GPU to do a bit on mining. Initially I was looking that the 480 as no brainer but I can seemingly get a new 1060 for a bout £10 more. So, what should I go for? Is there a review comingof the 1060? This is some BAD journalism right here. You should NOT go for the 8GB version because they’re clocked higher stock, you should buy 4GB ones and OC them. What driver where used in this review ? @Ruben Which BIOS mod will do 32MHs? thank you for the Intresting content !! Thank you for this nice post. I just read it although its a bit older. I was informing myself for a new article in my graphiccard blog. I was just wondering on the GTX 1060 oder 1070 instead of the RX 480? Vielen Dank für den Artikel das hat mir sehr geholfen.